If your answers were David Stock and Symphony, you’d be right. Stock, lifelong pillar of the Pittsburgh new music world, and Seattle, home of one of the country’s finest (maybe dampest too) orchestras have just teamed up in a more-than-sister-city-ly way on this new Innova release. 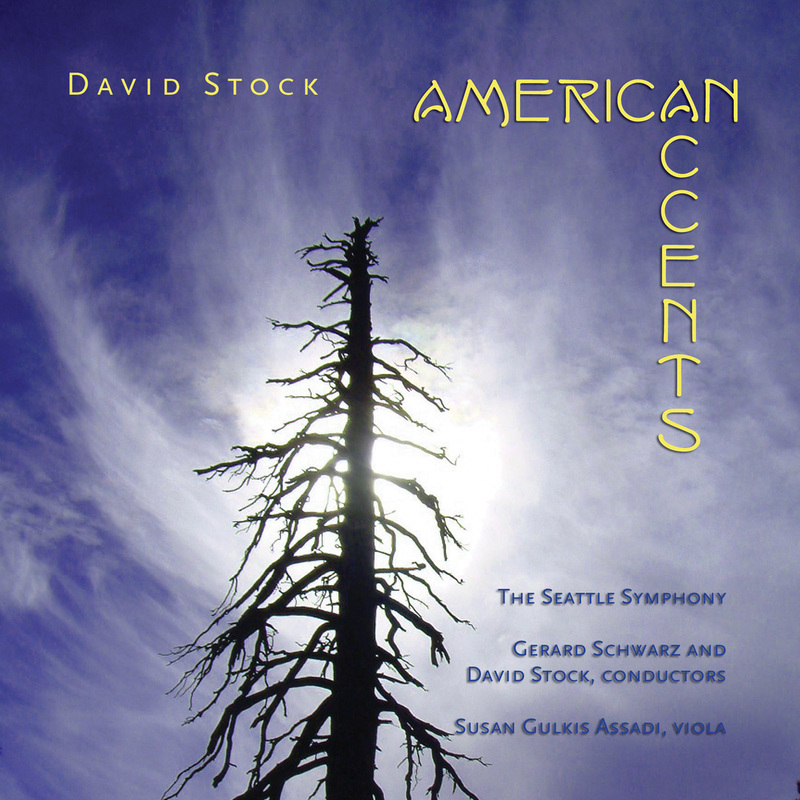 American Accents features three of Stock’s major orchestra works in colorful and gripping renditions led by maestro Gerard Schwarz. Stock’s middle name is Color (or it might as well be); he creates some of the most spellbinding combinations of it since Monet. Those who associate Orchestra with Tedium will be disappointed. Anyone who heard Stock’s last Innova release (Speaking Extravagantly; String Quartets played by Cuarteto Latinoamericano) will understand. As hunter to elephant, Stock does not shy away from the orchestral behemoth. He is equally unafraid of tempering his prickly Modernist roots with lyrical, tonal warm fuzzies. You will not only admire this music, you will like it too.